At the very beginning of his career, Bill Cunningham started a hat business. He borrowed money to launch it. Then the war started and he enrolled as he thought it was his duty. But his lender, a rich family, was rather of the opinion that his duty was to stay, make the business grow and reimburse the loan. I think it was 1’000 USD in the 1930’s. He decided to quit the business and enlist. After serving in the army, he came back to New York, his family had to help him reimburse the money. He took it as a lesson, and I do not think he ever borrowed money again. 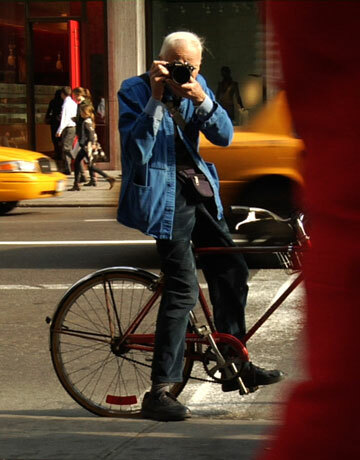 Although Bill Cunningham is a reference in the fashion industry, he is not the kind of spirit that can be bought. He lives very frugally, in his 3 dollars blue worker jacket, with just his bike and camera, to be completely free in his artistic performance. Hence his statement: “Money is the cheapest thing, Freedom is expensive”.